Thanksgiving usually gets all the credit for good food and holiday parties, but hold your horses – first, we have Halloween! 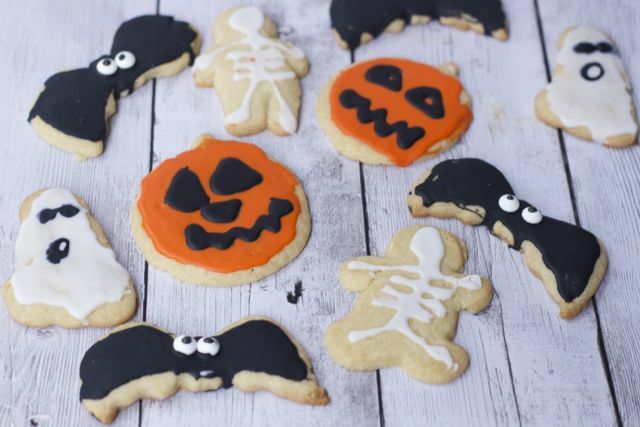 Halloween is one of the most fun times of the year to get creative in the kitchen, whether you want to make a simple batch of pumpkin-shaped cookies or go all-out with a decorated zombie cake. 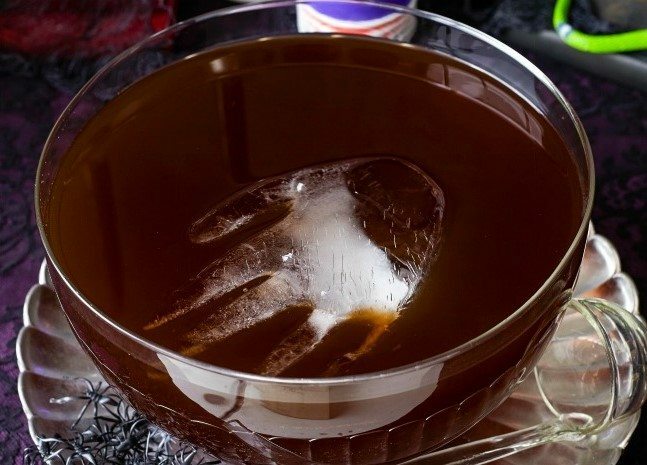 There are tons of unique Halloween-inspired recipes available, but this roundup has some creative Halloween Snack treats and drinks that not only look great, but taste great, too! 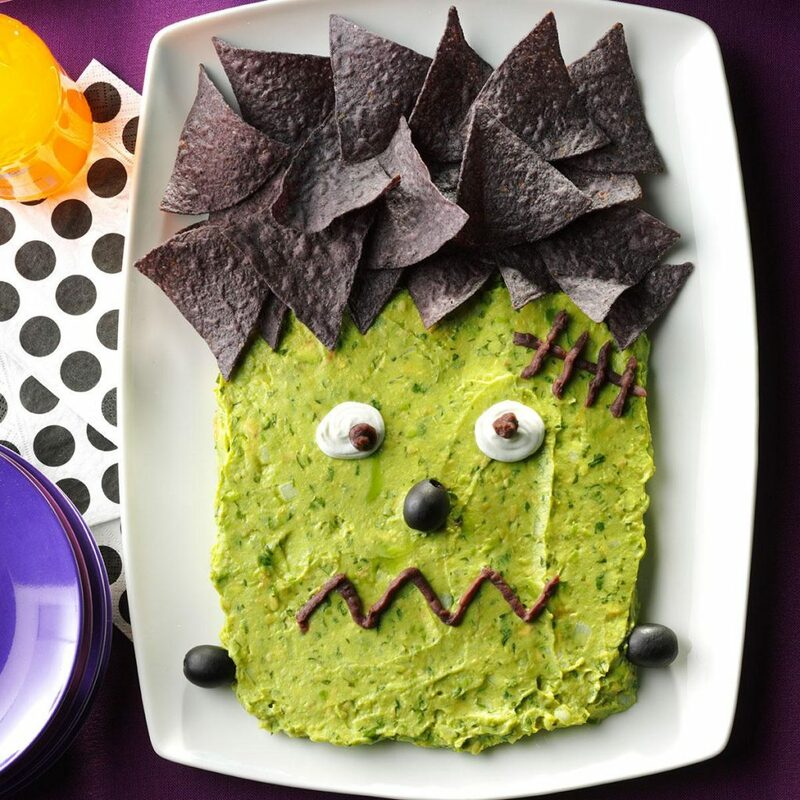 What better way to enjoy everyone’s favorite Mexican dip than with a freaky tribute to the infamous Frankenstein! Aptly named “Frankenguac”, this recipe is great because you don’t need any fancy kitchen skills or unique ingredients, it’s all about the presentation. Halloween isn’t Halloween without a few jack-o-lanterns around the house! 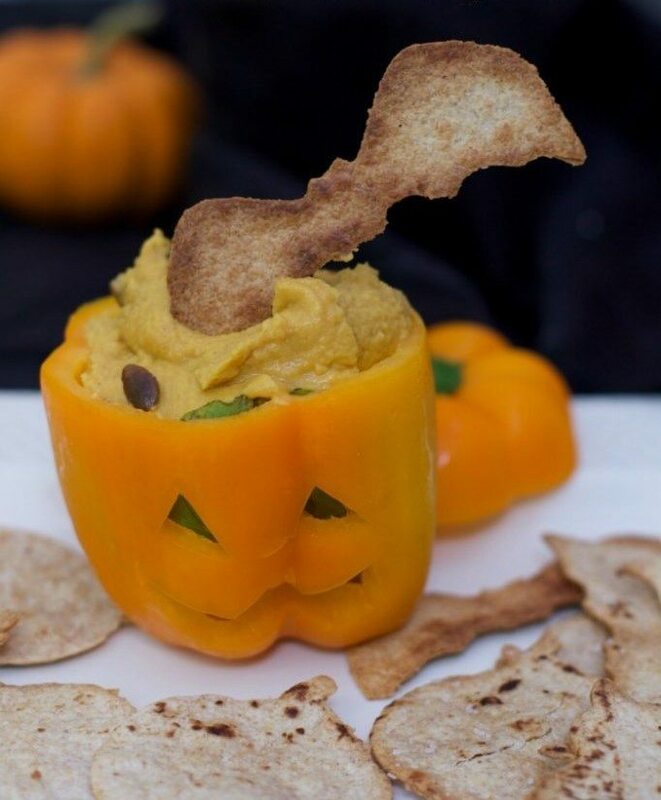 This creative recipe takes a new approach to the popular fall décor, using bell peppers instead of pumpkins to make convenient holders for dips like hummus or guac. Take things even further by making your own bat-shaped chips. Whether you’re making food for the kids or appetizers for a party, mini pizzas are always a hit. 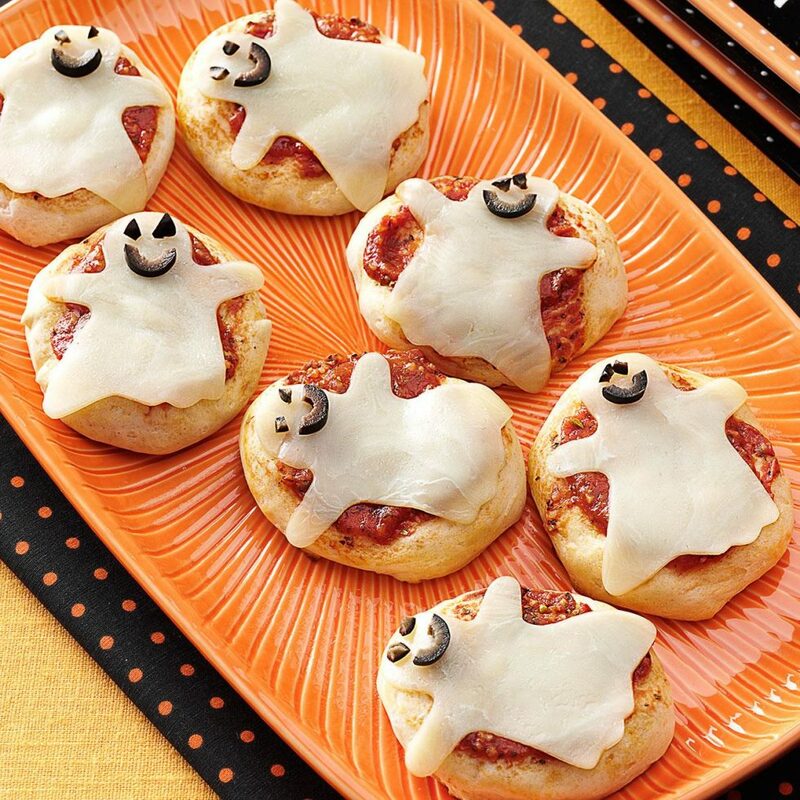 Rather than grated cheese, this recipe uses sliced cheese to give your pizzas a spooky ghost topping. If you like toppings, you can add them for further fun decoration. For adults, this October sangria recipe is the definition of delicious. 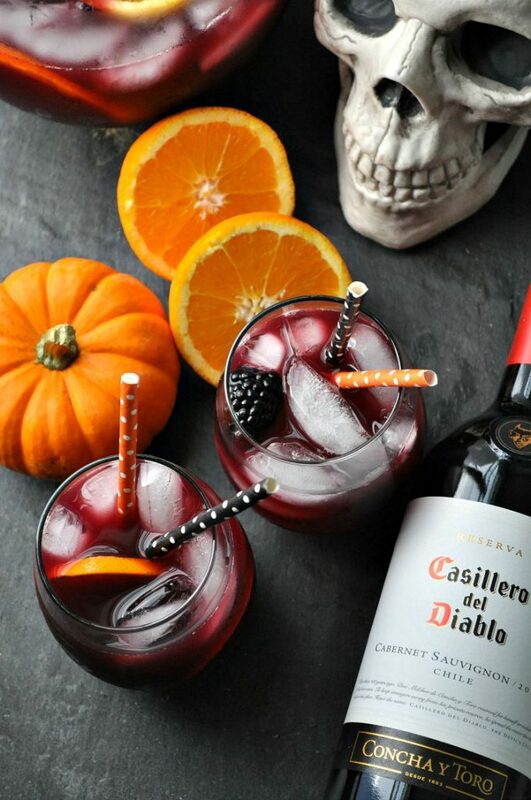 Creatively named “Hallowine,” the recipe calls for a mix of Cabernet, club soda, orange, and blackberries – the perfect combination of taste with a kick. For extra style points, mix in a drink maker and turn this recipe into a soul-freezing slushie. Everyone loves things covered in chocolate. 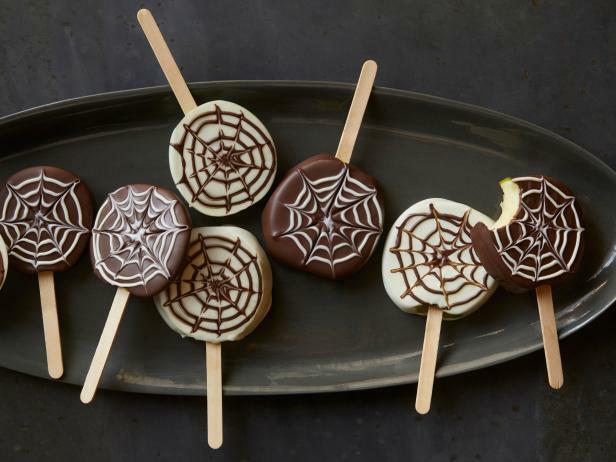 These chocolate-dipped apple pops are both sweet and healthy, and with careful icing spider web skills, they look awesome, too! Use them with popsicle sticks as the recipe instructs, or you can even make them without (just be careful when dipping!). No matter what the occasion, sugar cookies never go out of style. And with pumpkin, bat, ghost, and skeleton decorations, they make the perfect Halloween party favor. 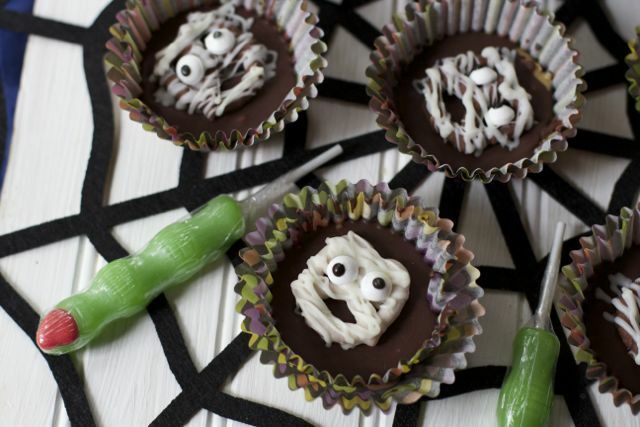 They’re easy to make, allow for endless creativity, and are sure to put smiles on the faces of those devouring them. This recipe requires the most kitchen skills out of the rest we’ve talked about, but the results are well worth the efforts. Using pie crusts, pumpkin, and several other ingredients, you’re essentially creating personal-sized pumpkin pies. 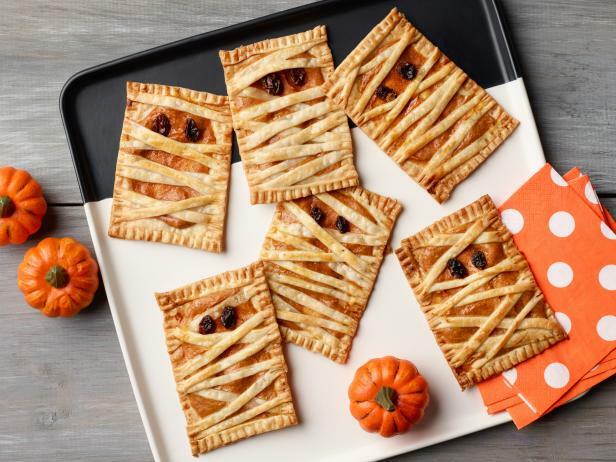 They resemble Pop-Tarts in a way, but they’re far more creative and delicious – and mummified in true Halloween fashion! 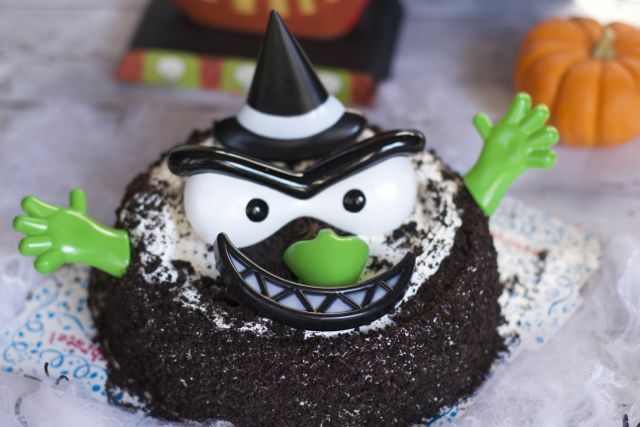 Your Halloween dessert list wouldn’t be complete without at least one monster involved. This easy ice cream cake recipe is all about the decorations. You can use any type of cake you want (although Oreo is usually the favorite) while adding numerous pieces for a fun and spooky presentation. The best part about cooking up treats for Halloween is that you truly have unlimited options. 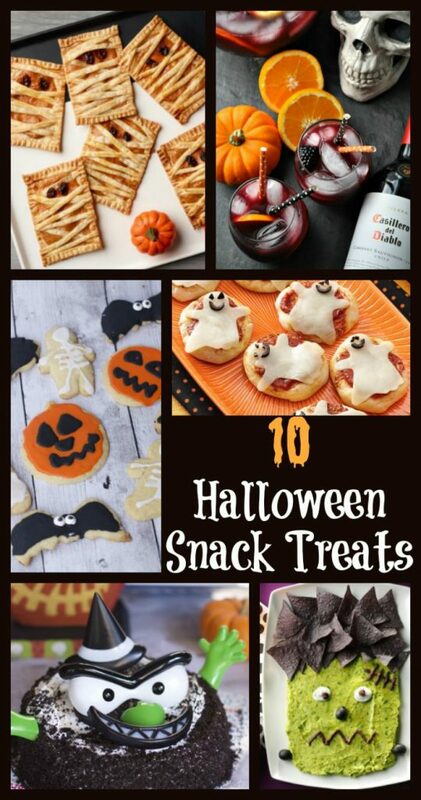 There are Halloween Snack Treats available for breakfast, lunch, and dinner, as well as appetizers, drinks, and desserts. 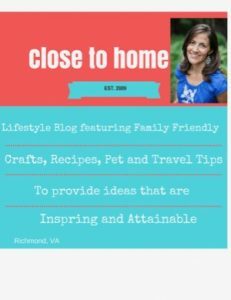 On top of that, you can take any existing recipes you find and customize them to your heart’s content. Get your creative juices flowing with the recipes above and immerse yourself in the best holiday of the year!